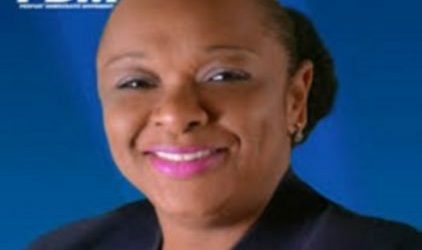 PROVIDENCIALES, Turks and Caicos (CMC) — Voters in Turks and Caicos Islands (TCI) on Thursday elected its first ever woman to head a government in this British Overseas Territory (BOT) and in the process booted Premier Dr Rufus Ewing out of Parliament completely. According to the figures released here, Cartwright Robinson, won the most votes in the at large candidates poll, receiving 3024 votes, while the outgoing premier, who led the ruling Progressive National Party (PNP) into the election, could only must 2, 234 votes, losing out on becoming one of the five successful candidates. He received 2,234 votes. Another casualty of the poll is former premier Michael Misick, who is before the courts on allegations of corruption. He received 1,629 votes. In the 2012 general election, the PNP won six of the 10 constituencies and two at large seats, while the PDM won four constituencies and three at large seats. The only successful PNP candidate in the at large candidate election is the former finance minister Washington Misick, who polled 2335 votes. The electoral officials here said 31 candidates across the 10 Electoral Districts in the Turks and Caicos Islands and an additional 21 All Island District candidates contested the elections. Cartwright Robinson led a team called “The Dream Team” to the election and had accused the Ewing-led government of having led the TCI into an abyss for which the citizens are suffering. The 7,800 voters had three choices: the ruling PNP; the PDM and the People’s Democratic Alliance (PDA) led by Oswald Skippings. An elated Cartwright Robinson told supporters that the new government would stick to the policies outlined in the PDM manifesto and reiterated that all citizens including “‘Belongers’, will have a “fair share” of the wealth of the TCI. “For too long the Belongers of the Turks and Caicos Islands have been denied their rightful share of the wealth of our country. For too long those holding political office have diverted funds away from where it rightfully belongs: it belongs in the pockets of all our Belongers. For too long we have had to tolerate the empty promises of false and weak leaders in the previous governments. No more… the time for talk is over, the time for action is now,” she added. The PDM said that it would encourage further direct foreign, domestic and Diaspora investment and would also seek to diversify the economy by developing and growing a businesses and financial service sector.